Tamara (affectionately referred to as ‘Nursy’ by the boy, which, despite how it sounds, is a more respectful moniker than the one he applies to me!) 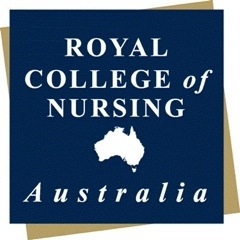 flies to Sydney after work today for a Royal College of Nursing Australia Conference. She will be back with us on Friday night. Years ago, I used to be the one jetting regularly to some interesting place to attend meetings or conferences or special events. But now it’s Tamara who has to endure those nasty old airports and hotels and put up with seminars and colleagues and intellectual stimulus, while I get to enjoy uninterrupted domestic bliss. I have at least 10 rooms to roam through, a couple of small humans to watch over and a few acres of fresh air to take in. I can delight in the stimulations of a Disability Carer, Household Supremo, Home School Tutor and Property Maintenance Manager. Better get the gang moving for breakfast. I’ve had my 45 minutes of quiet morning reflection. On with the day. ~ by Garry on May 24, 2011.